I thought it might be interesting to post any information I could find about the religious beliefs of the Thomas line of my family. I may add to this as I find out more. 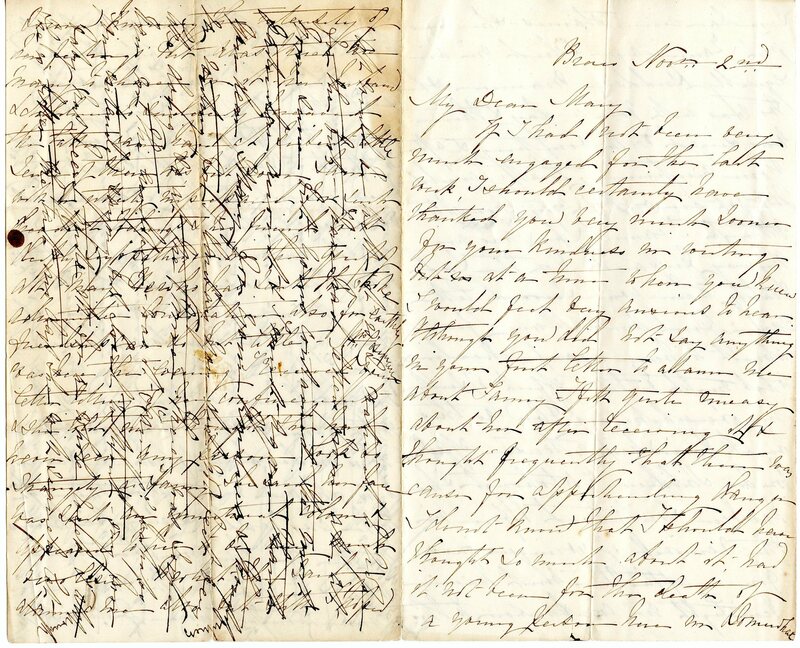 My 3x great-grandfather Charles H. Thomas (1821-1873) married Louisa A. Pond (1823-1896) around 1845, probably in Burke, New York. 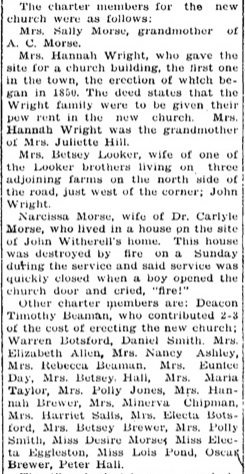 Before her marriage, Louisa had been one of the founding members of the Burke Presbyterian Church per an historical article published in the “Malone Farmer” in 1933. 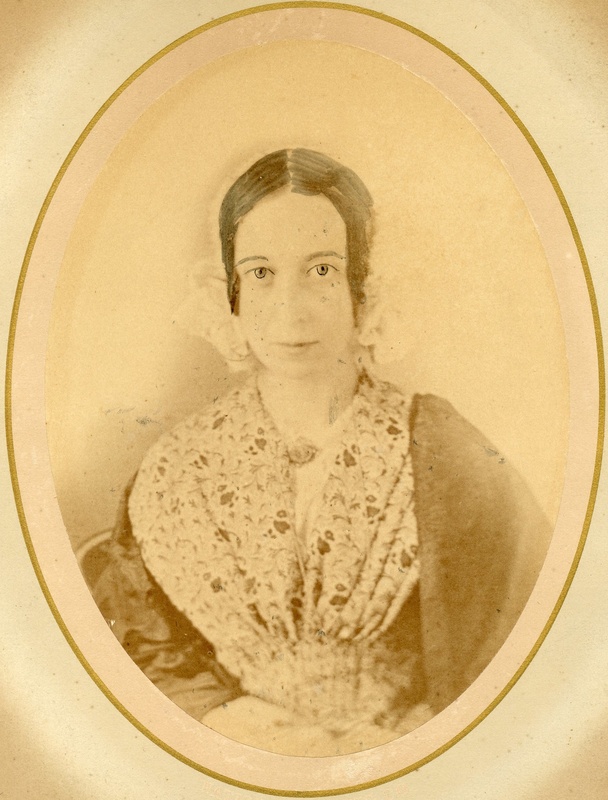 The article also mentions many members of the Morse family (Louisa’s mother was Sally Mariah Morse). 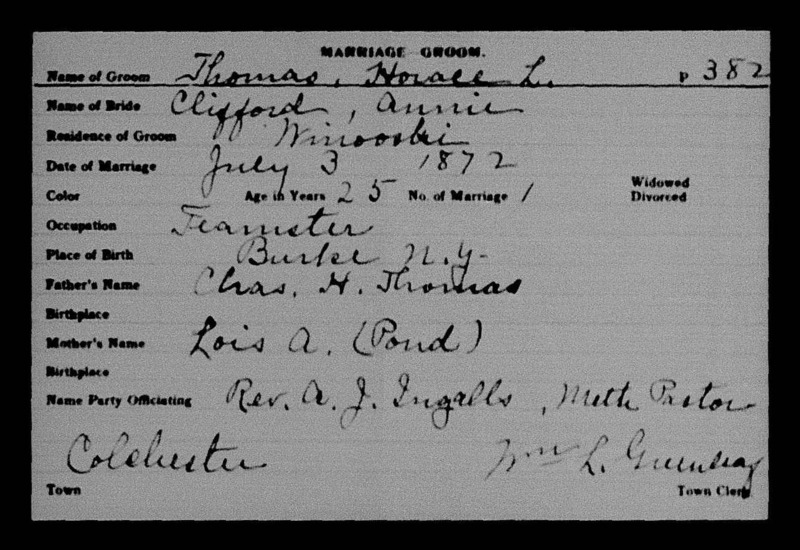 My great-great grandfather, Horace Luther Thomas [son of Charles and Louisa] married Anna Clifford on 3 Jul 1872. The official was listed as “Rev. A. J. Ingalls, Methodist Pastor”. Rev. Ingalls was the pastor of the First Methodist Church in Winooski during the years 1871-1872 according to the “History of Chittenden County”, p 568. So Horace and his wife attended the Methodist church in Winooski at least that early. 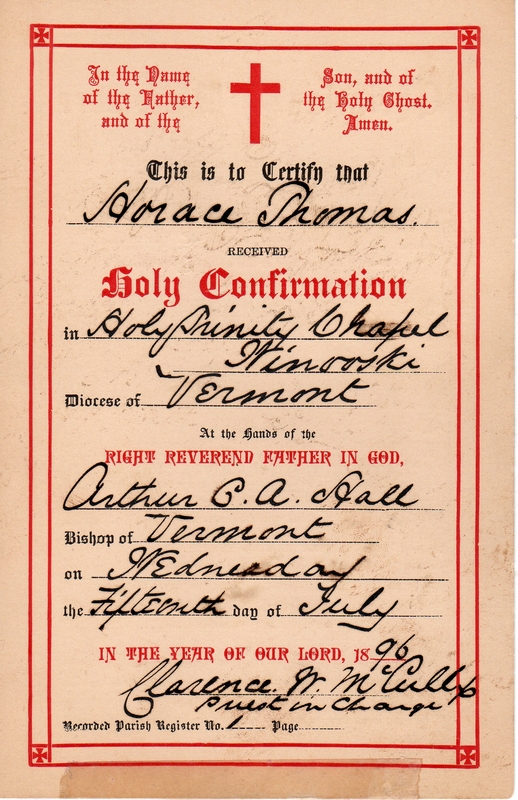 Horace was confirmed in the “Holy Trinity Chapel” in Winooski, Vermont on 15 Jul 1896. He was 49 years old, and the confirmation happened around the same time his son, Horace Jr., was confirmed (14 Jun 1896), and on the same day that his daughter Anna Thomas was confirmed. I believe Holy Trinity, which was established in 1876, was an Episcopal Church. Both Horace and his wife Anna had their funerals at “Trinity Episcopal Church” in Winooski. Presumably the same one where he was confirmed. Anna was a member of the Ladies’ Auxiliary there. Their daughter, Emma Thomas (1878-1931) was married at the Trinity Episcopal church in Winooski. Their son, Robert Erwin Thomas (1887-1965), was a member of the Trinity Episcopal church in Winooski, Trinity Episcopal in Milton, Vermont, and his funeral was held at Saint James Episcopal Church in Essex Junction, Vermont. Their son, Frederick Clifford Thomas Sr. (1889-1976), married his first wife, Delia Bacon, at St. Joseph’s Catholic Church. Delia, like her entire family, was Catholic. Fred was listed as a member of the Episcopal Church of Winooski in his obituary. 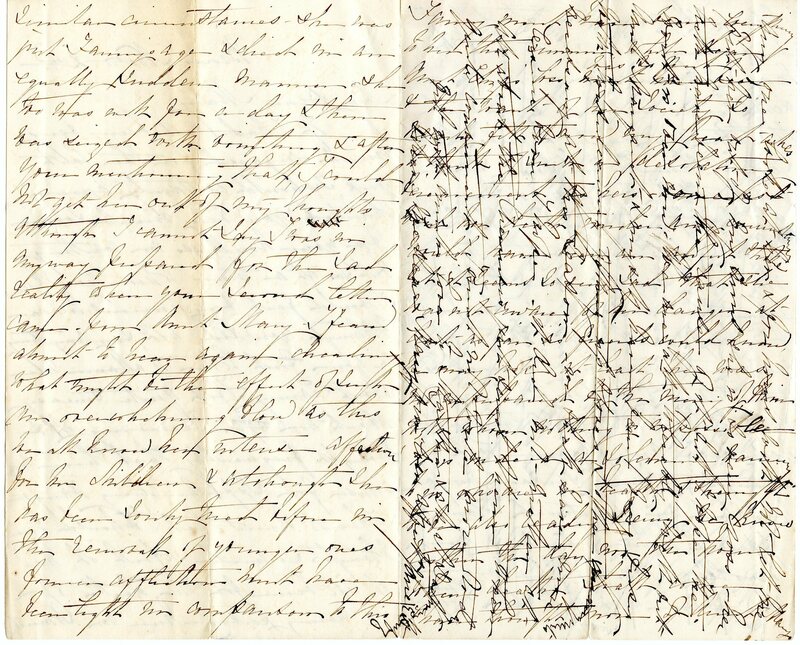 Agnes McWhirter (1827-1898) was my 3x great-grandmother. 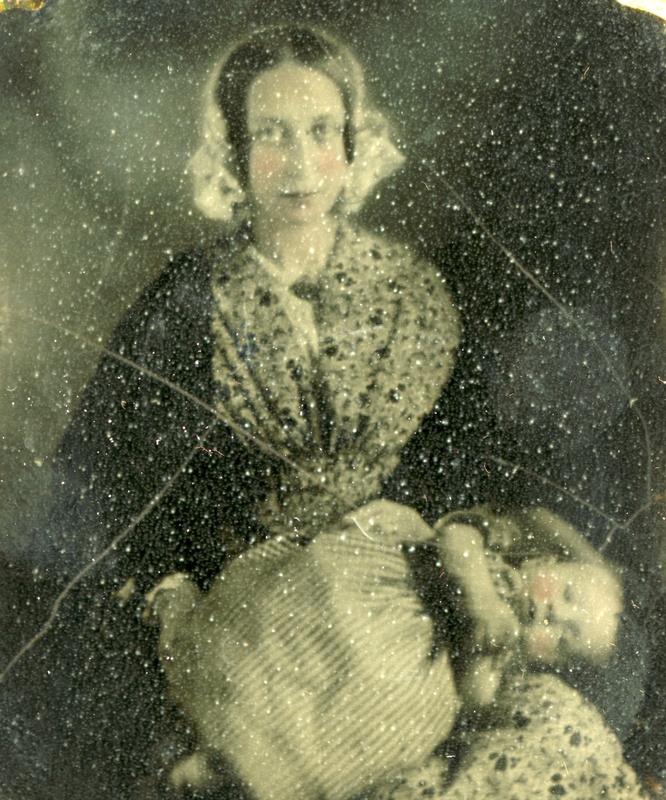 She was born in County Tyrone, Ireland and came to the US sometime in the 1840’s with her entire family. 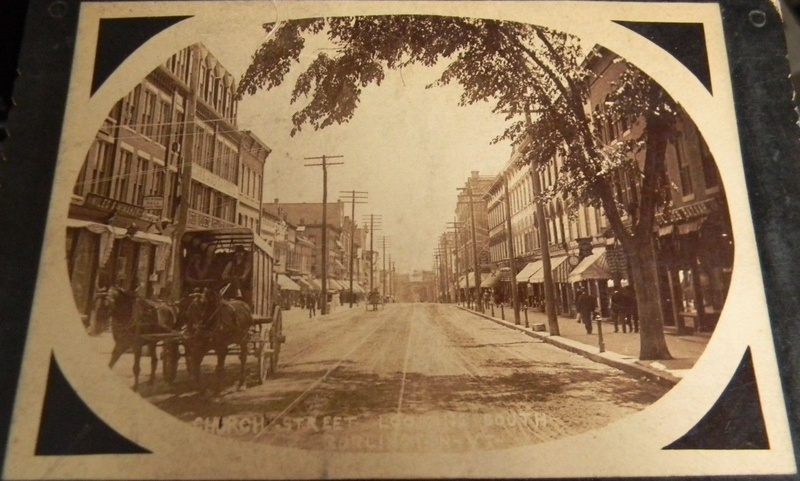 She married my 3x great-grandfather Robert Clifford (also from Ireland) in Winooski, Vermont on 15 Sept 1847. This is a chronological timeline for the core immigrant McWhirter family in America after arriving from Ireland. This has been on my Ancestry.com tree for years, but thought it should probably go up here also. It’s helpful to know which family members were where and when. I will add more to this, but it’s a good place to start. 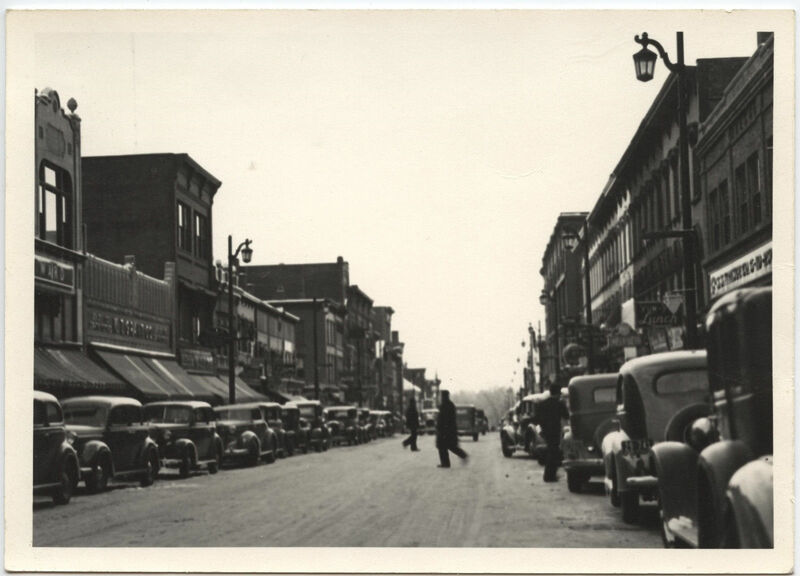 Agnes in Rouses Point, Clinton, New York, per birth certificate of daughter Anna.